A social media superstar is a person who has reached a certain level of industry leadership and success, in the eyes of his/her fans, followers and peers. And, these leaders naturally possess the ten qualities detailed in this post. Most of these characteristics transcend industries, and many of them transcend those who have or are striving to attain “superstar” status. But, those individuals who have all ten of these qualities are most likely people who are out there doing an amazing job of truly making a big difference in the world of social media and beyond. Last week, I lead a free webinar discussing these qualities and featuring the 32 leaders I chose to spotlight. The webinar was attended by over 800 live participants; the replay has been viewed more than 1,000 times, and the slides have over 5,000 views on SlideShare. A popular topic for sure! You can gain instant access to the replay of the webinar here, and view the slides below. Plus, keep reading further for details of the ten qualities, featuring 32 social media leaders! In each of the ten qualities below, I’ve highlighted some of my favorite social media superstars – every one of which I personally know, and feel that they embody all ten of the qualities, not just the section(s) in which I feature them. I could easily add many more wonderful leaders here; this list is by no means exhaustive. Feel free to recommend your own favorite superstars for any one or more of the qualities in the comments section! Leaders who are clearly very humble are the most attractive and the most engaging. By attractive, I mean people feel naturally *drawn* to them. We feel more relaxed and open around humble people. These individuals love to shine the spotlight on others but tend to shy away from having the light shining on them personally too much. Check in on your own humility. I recommend before sharing anything on any platform, ask yourself, “What is my deepest intent?“ Sometimes it’s important to sit with that question for a bit to make sure you’re coming from the right place. Erik Qualman – talented author of Socialnomics and producer of brilliant viral videos, Erik is always gracious and has time for everyone. Scott Monty – one of Ford’s best assets, Scott is admired by many. He’s super kind and super savvy. These individuals are so humble, they may even balk at being called “superstars!” Plus, if you’ve ever met Tony Hsieh — CEO of Zappos and author of Delivering Happiness — and heard him give a presentation, he really epitomizes humility in a leader. I’ve been blessed to share the stage with Tony five times now over the years! My friend Jim Kwik has a very similar disposition to Tony; Jim is currently working on his book called The Art of Warmth. Gary Vaynerchuk – Gary has monetized social media with his exuberant personality and genuine love of people! I’m honored to call him a friend. It’s important to share your passion in your own way!! It’s not about trying to be like Gary; rather, making sure your life – and hopefully your business too – is a vibrant expression of your passion! To be a good leader, especially in the social media industry, having a non-competitive, inclusive approach works very well. A social media superstar with an inclusive approach will happily recommend and endorse his/her peers. You will often see them retweeting and promoting other social media professionals – who could easily be seen as their competition by others. These leaders treat everyone as equals. They don’t put others on pedestals and don’t like to be put on a pedestal themselves. Jay Baer – a super-savvy and real down-to-earth guy, Jay is very welcoming and kind to everyone. Brian Solis – if you’ve ever met Brian, you know he has a wonderful disposition. He’s also one of the most talented thought leaders and futurists in the social media world and beyond. Jeremiah Owyang – I first met Jeremiah in 2007 and he’s always been very sweet and personable. Along with Brian Solis, Jeremiah is one of the brilliant minds in the social media industry. It was an honor to have him lead the opening keynote for the Social Media Success Summit 2011. You may have heard sayings like, “Be yourself because everybody is already taken,” and one of my favorites from Dr. Seuss, “There’s nobody youer than You!” There are nearly seven billion people on the planet (close to one billion of us are on Facebook! ), and we are all uniquely different. Yes, you need to differentiate yourself. At the end of the day, people do business with people they know, like and trust. Even if you offer an identical product or service as other businesses, the right clients will be drawn to you because of who you are. Guy Kawasaki – yes, I know Guy is a “firehose” of content, but he’s also very engaging on both Twitter and his Facebook fan page for Enchantment. He’s also a very caring person and certainly walks the talk of being enchanting! Ekaterina Walter – a talented social media strategist for Intel, Ekaterina is a terrific content producer and curator as well as being a great engager. Pam Moore – Pam and her husband run a busy social media agency; she writes her own posts and is a popular guest blogger and is also a great engager. Who would you add — who do you love to engage with on Twitter and Facebook? This is where the true differentiation starts to come in. A vast number of people may possess superstar qualities #1 through #4. But, having deep technical knowledge and experience within a specific niche really sets these superstars apart. They are specialists, not generalists. In addition to deep niche knowledge, these leaders also have a great breadth of industry knowledge. And they willingly share their knowledge and happily answer questions for their friends, fans and followers. Viveka von Rosen – one of my favorite go-to LinkedIn experts. Beth Kanter – hands-down the top expert for social media for non profits. Sarah Evans – a PR genius and a super engager. Steve Garfield – the author of Get Seen and is a talented video marketing expert. John Haydon – like Beth, John is a master in the area of social media – specifically Facebook – for non profits. He’s my go-to guy in this area! What I love about niche experts is they are always at the top of my mind whenever I have an opportunity come across my desk – I can confidently pass along opportunities and leads to these industry specialists. Who else would you add here? Who comes to mind when someone is seeking a true expert in ______? Fill in the blank! Another differentiator: social media leaders create and publish vast volumes of excellent, quality content. The root word of “authority” is “author.” If you want to be an authority in any field, author more – write more! Publish more blog posts, articles, and guest blog posts. Create more information products. Lead more teleseminars, webinars. Speak more. Get your expertise out there in the written and spoken word and you will become known as a prolific, quality content producer! These leaders also freely share “OPC” – other people’s content. They feature other experts on their blogs, they regularly share other experts’ content on Facebook, Twitter and more. Ann Handley – and the MarketingProfs team are phenomenal at writing some of the best marketing content. Their studies and in-depth reports are extremely valuable. Ann should be under #1 above too; I’ve had the pleasure of meeting her in person and she’s extremely humble. Kristi Hines – is just a delight; do check out her blog and her consistently terrific blog posts. Simply Zesty – my favorite Irish team, Lauren Fisher and Niall Harbison are the brains behind SimplyZesty. Their talented writing often appears on other big blogs like TheNextWeb. Krishna De – another Irish gem, Krishna’s blog is packed with valuable social media and Facebook marketing tips. Who are your favorite sources of quality social media content? Let me know in the comments! Along with creating and curating terrific content, these social media leaders add value with everything they do. They are discerning in what they say; they lift others up, are encouraging and are great listeners. You may often hear people talk about how important it is to “add value.” Adding value comes in many forms – when you’re a source of great knowledge, expertise, resources and support for your community, you’ll have a reputation for someone who adds value. Mark Schaefer – his blog is exceptional, thought-provoking, helpful. Always something new and fresh. And Mark is a super nice guy; he’s always a great source of support. Cindy Ratzlaff – a longtime friend of mine, Cindy is a savvy branding and book marketing expert along with running her own social media agency. Her breadth and depth of experience always adds value. Nancy Myrland – Nancy is one of the nicest peeps online; she always has a cheery and helpful word for everyone and publishes great content on her blog too. Lori Taylor – another bright light in the online world, Lori shares an abundance of helpful social media tips and resources and always has something positive to say. There’s this idea that people are meaner than they used to be because of the Internet. People are not meaner; they’ve always been mean. It’s just the technology is just *faster! * People have a crazy, angry thought — BOOM!! It’s out. They don’t take time to slow down, self-edit and ask themselves these three questions: 1) Does this need to be said? 2) Does this need to be said by ME? and 3) Does this need to be said by me NOW? ~Craig Ferguson, from his “Does This Need To Be Said” show. Who do you know that is always adding value by sharing great content as well as being supportive, kind and helpful? Consistency has three main components in this context: 1) You have a seamless branding image and presence across all platforms. There is a consistent, uniform message that speaks quality. 2) You produce and share content regularly, ideally daily, through your various social channels. 3) You engage with your network, ideally daily. Over time, you become known as someone who is reliable; you’re trustworthy and can be counted on to always show up. Danny Brown – a fun, fellow Scottish-Canadian, Danny has a great look and feel to his brand and is a prolific content creator and engager. Ann Handley – Ann deserves to be featured twice too; she can be relied upon daily for excellent content + regular connecting. Who would you add here that exemplifies the quality of consistency? True leaders build people up and encourage them to reach their full potential, no holds barred. The thing is, many people in leadership positions actually hold themselves back from really championing other people, out of a fear that others might leapfrog ahead and surpass them. How sad. In his book, Greater Than Yourself, author Steve Farber talks about how true leaders really build people up. Laura Fitton (Founder @oneforty) – Laura is credited with being the person who got Guy Kawasaki on Twitter. Imagine Twitter without Guy! Along with being a published author, Laura created a great platform and community at oneforty.com. Charlene Li (Founder @altimetergroup) – I’ve always admired Charlene’s talents and leadership style. Liz Strauss (Founder @sobcon) – a fellow 6′ blonde, Liz is just a delight. She is cofounder of SOBcon (Successful Online Business Conference), a thriving annual event. Michael Stelzner (Founder @smexaminer) – Mike does a fabulous job of really fostering community among his entire audience and all his guest bloggers on SocialMediaExaminer.com and its Facebook fan page. I first met Mike in 2008 and over the years we have enjoyed a very rewarding business alliance, specifically with the largescale online Summits. Wendy Piersall (A leader of mom-bloggers) – Wendy is another delightful leader. She has built successful blogs and businesses and her book Mom Blogging for Dummies is coming out next month. What other leaders do you admire? True leaders – in any industry – have really “earned the right” to be a Superstar. They have put in the long hours of study and practice. They have client case studies and can point to their tangible results spanning many years. Several studies, including by Harvard, show that it takes ten years or 10,000 hours to be a real expert. Malcolm Gladwell, talks about this in his book, Outliers. Chris Brogan – has definitely earned his stripes as one of the leaders in the social media world. He and I were recently speaking at a major event in Oslo, Norway and got to spend a fair bit of quality social time together – a first for us in almost four years. It was a joy to get to know Chris better on a personal level. This list is not intended to be the “definitive” guide for ten qualities or characteristics of social media leaders. These are the ten that I have identified from working in the world of social media as a speaker, trainer and consultant since 2007 and, before that, as an internet and relationship marketing specialist since 1999. Of course, I have refrained from listing myself anywhere in this post. During and since the webinar I lead last week, many people sent me encouraging and kind messages. I am truly honored. It is my life’s mission to shine the light brightly on you, to bring out the best in you, to support you in being all you can be. If you’re interested in checking out my mentorship program, do take a look here. We begin on June 16 and have a few spaces left. I’d love to work with you if it’s a fit. 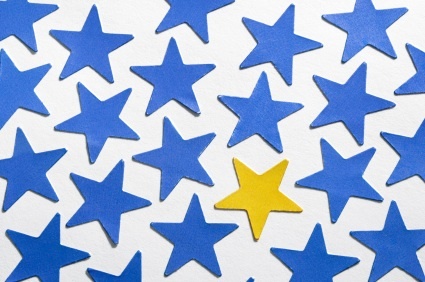 You may have other social media superstar qualities that you would add or replace. Please share in the comments below your own perspective on leadership and superstar qualities in the social media industry or otherwise. I’d love to hear from you!